Apple is considering teaming up with its supplier Foxconn to bid for Toshiba’s semiconductor business, public broadcaster NHK said on Friday – the latest twist in the sale of the world’s second-biggest flash memory chip maker. Apple is considering investing at least several billion dollars to take a stake of more than 20 per cent in a plan that would have Toshiba maintain a partial stake to keep the business under US and Japanese control, NHK reported, citing an unidentified source. Apple was not immediate available to comment. Taiwan’s Foxconn, formally known as Hon Hai Precision Industry, declined to comment. 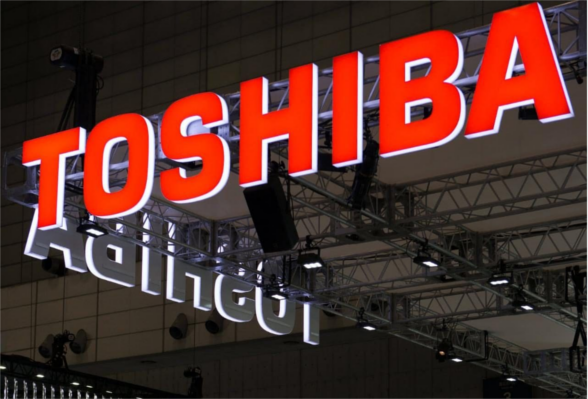 The report comes as Western Digital Corp, Toshiba’s partner and one of the bidders of its chip business, warned this week that the Japanese firm is violating a joint venture contract in plans to sell to its chip unit, and urged that it be given exclusive negotiating rights. Toshiba has narrowed down the field of bidders for its chip unit to four suitors, sources have said previously. They are US chip maker Broadcom, which has partnered with private equity firm Silver Lake Partners LP; South Korean chip maker SK Hynix; Foxconn, the world’s largest contract electronics maker, and Western Digital.